Vítězslav Nezval, ‘Bizarre Town – 14’, The Absolute Gravedigger. The recent ISA annual convention was, as ever, an intoxicating mix of the scholarly and the social, the illuminating and the obscuratory, the inspiring and the off-putting, the optimistic and the pessimistic. It was, as ever, a great experience. Some panels sparked rich discussion and reflection, such as the roundtable on 30 years of On Diplomacy (Der Derian, 1987), illuminating the diverse paths of innovation, insight and collegiality that can mediate our scholarly estrangements. [ii] Other panels unfortunately shone light on some of the less edifying tendencies in our discipline – such as the primetime ‘Has World Politics Changed?’ panel (of which more below). Mainly, as ever, the best thing about the convention was the chance to catch up with so many people, to carry on so many conversations (often late into the night) and to start new ones. There are too many to name but thanks to everyone who made it such an interesting, fulfilling and fun time. Many conversations at the ISA touched on topics that feature in this issue of New Perspectives: from the hows and whys of Brexit and Trump to the supposed return (again!) of great power politics, and the roles and relative importance of identity, culture and political economy as social forces as well as what ‘Russia’ does, thinks and wants. This editorial reflects or, more accurately, refracts on these issues through the prism of twilight. Taking its cue from Rade Zinaić’s piece ‘The Twilight of the Proletariat’ the editorial critically explores the various connotations of twilight and examines its relevance – in decline, resurgence and repetition – for the study and practice of international relations and related social phenomena. It asks what we should preserve but also what we should let go and with Tim Edensor ( 2017) it questions whether we have been unfair to darkness. 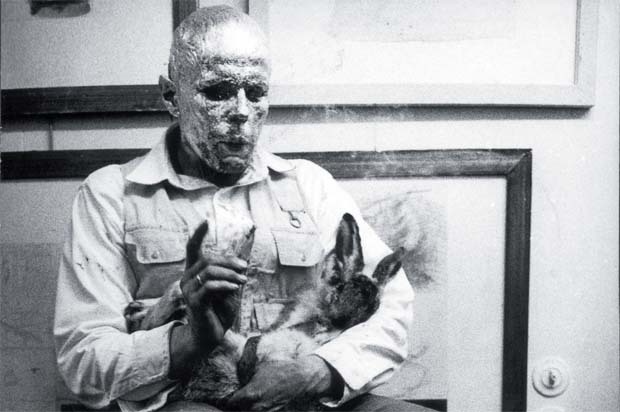 In the gloam it also encounters the artist Joseph Beuys and the poet Vitezslav Nezval who provoke reflection and recuperation but also apprehension. But before getting to the substance of this editorial, before heading into the ambiguous twilight, a few words on the journal itself. The Baltimore convention was a very encouraging one for New Perspectives. Our panels went well – thanks to our editorial board members (Stuart Shields, Hannes Peltonen, Kimberly Elman Zarecor, Alena Drieschova, Xymena Kurowska and Merje Kuus) and other friends and colleagues (Tomáš Dopita, Polly Pallister-Wilkins and Petra Roter) who made that happen – and to all those who joined in the discussions. It was also great to be at the ISA (and to share the joy of promotional work) with Jakub Eberle, our Deputy Editor-in-Chief, whose arrival has had a major impact on the timeliness, quality and scope of the journal – and of the discussions at our meetings. Our Managing Editor Tereza Valny has recently stepped down and we will miss her – Tereza has been a wonderful colleague without whom there would simply not have been as many New Perspectives over the last 18 months. We all wish her well in her new position in the History department of the University of Edinburgh, where she will continue to fly our interdisciplinary flag. We are happy, however, to welcome Gabriela Anderson, who replaces Tereza and has already hit the ground running, working in close collaboration with our incredible proof reader Jan Hrubín, who could spot a missing comma at 200 metres. Jakub Tayari and Vladimír Trojánek ensure that New Perspectives maintains its distinctive look and Matyáš Viktora continues his excellent work as our web and social media editor – you might have noticed us on Facebook. Along with Jakub, Matyáš has been instrumental in launching our new ‘Online First’ channel – you can now get NP articles ahead of print and, for a short time, each of them is free to download. Tell your friends. As we enter our third year, let me take the chance to thank the NP team, our editorial board, those scholars far and wide who have supported us, our readers and authors for believing in us and all of those at the Institute of International Relations Prague who have made it possible to get this far this fast. Many of us would be instinctively sympathetic to Tomislav Longinović’s project, which is laid out most extensively in his influential (2011) book Vampire Nation: Violence as Cultural Imaginary. Longinović seeks to deconstruct and destabilise the “ongoing vilification of the Serbian people by the external gaze, as well as their own self-definition through the lens of ‘vampire phantasm’” (THES, 2012). Indeed, some of critical IR, particularly poststructuralist IR’s greatest hits – notably David Campbell’s National Deconstruction (1998) and Lene Hansen’s Security as Practice (2006) – tackle related issues in complementary ways. New Perspectives has also ventured into this territory with Tomáš Dopita’s (2015) critical engagement with Campbell and Hansen’s works – ‘National Reconstruction’ – which, while critical of their methods and conclusions, affirmed much of their basic normative thrust. Echoing some of the IR contributions in this field, Longinović challenges ethno-nationalist explanations for violence such as Michael Ignatieff’s (1993) Blood and Belonging and instead situates the Balkan wars firmly in a wider European tradition of state-forming violence and internecine bloodletting. His ‘vampire phantasm’ challenges the narrative of Serbia’s “stunted modernity” and violent, slow or incomplete transition being rooted in the “viperous burden” of the Serbian historical imagination (THES, 2012). Like much of what Zinaić calls “Critical Balkanology” this intends to “connect the disconnected” (Volcić, 2013), challenging “colonial” (Bjelić, 2002) readings with post-colonial, poststructuralist critique from within by “recuperating lost voices,” foregrounding and interrogating silences and challenging representations that stigmatise “the serbs,” all of which will be music to the ears of many poststructuralist and critical constructivist IR scholars. In this issue, however, we publish a stinging riposte to Longinovic’s work – an exhilaratingly written critique of Vampire Nation and the ‘Balkan cultural critique’ that Rade Zinaić claims it to be emblematic of. While Longinović sees “the serbs” (as constructed from without and within) as, inter alia, an “apparition,” a “spectre,” a “chimerical assemblage” and a “simulacrum,” what Zinaić sees in his critique is “The Twilight of the Proletariat.” He thus speaks to live debates in IR – and beyond – that question the limits of different kinds of critique – in this case the limits of a poststructuralism that “cannot see beyond the singular individual as victim and vanguard”, thus “effacing awareness of class consciousness” and ultimately reproducing the dominant (neo-)liberal order that it purports to challenge. Thus, like the white working class around the world, the Serbian (sub)proletariat is (allegedly) demonised culturally as well as disenfranchised economically. Yet it seems strange to proclaim the “twilight of the proletariat” at the very moment when the protest against this is being loudly heard around Europe and in North America – unless, of course, we are being “unjust to twilight” (Havel, 1996). 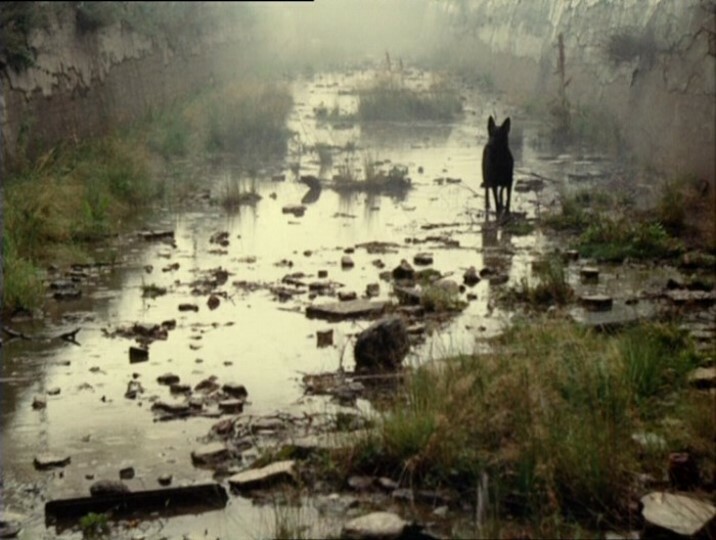 Still from Andrei Tarkovsky’s ‘Stalker’ (1979). With Jeremy Corbyn, Jean-Luc Melenchon and Bernie Sanders having made serious inroads with their retro-leftism, and leaders such as Theresa May, Jaroslaw Kaczynski and Donald Trump busily reassembling (or simulating) the anti-liberal, national-social nexus from the right, reports of the demise of the proletariat may be exaggerated (beyond the Balkans). Rhetorically at least politicians across the spectrum and an array of commentators point specifically to the ‘political economy’ of (neoliberal) globalisation as the culprit for the current discontent, as Derek Sayer has documented (2017). Sayer cites British Prime Minister Theresa May: “tensions and differences between those who are gaining from globalisation and those who feel they are losing out”; UKIP leader Nigel Farage hailed “a victory for real people, a victory for ordinary people” against “the multinationals … the big merchant banks … big politics …”; on the left, journalists Larry Elliott and Ian Jack respectively saw “a rejection of globalisation” and “the poor turning on an elite who ignored them,” while campaigner John Pilger saw a backlash against a “liberal, enlightened […] bourgeoisie with insatiable consumerist tastes.” As for the US, Sayer quotes Glenn Greenwald’s claim that “sustained economic misery makes people more receptive to tribalistic scapegoating” and adds that in such analyses we seem to be “back in that familiar left‐wing land of the last instance where ‘It’s the economy, stupid,’ and all the evils of the world, including white racism and xenophobia, can be laid at the door of neoliberalism and capitalism.” Sayer’s compelling rejection of this argument is appropriately titled ‘White Riot’ (all cited in Sayer, 2017). This is an issue of great significance for international as well as domestic politics, as the ‘Russia and the World: 2017 IMEMO Forecast’ makes clear. The forecast, from Russia’s leading foreign policy institute, not only makes clear the stake of the revolt against the liberal establishment in the West, but also clearly sides with those who see that “fear of globalisation is at the forefront of this revolt against the political mainstream”, rather than “value aspects” such as rejection of “gender equality, gay rights, ethnic diversity, and environmental protection – [that are] promoted by elites,” and which it claims are “of secondary importance.” This is particularly interesting given the Putin regime’s frequent ‘values-based’ denigrations the ‘decadent’ West (e.g. Snyder, 2015). The interplay – or intersection – of economic factors, of capitalism, with other social forces is also at the heart of the debate that animates the forum in this issue, in which Ian Bruff, Matthias Ebenau and Richard Westra respond to Daniel Šitera’s (2015) review essay on their recent edited collections on Comparative Capitalisms. This rich and spirited discussion offers plenty for critical scholars within, but also beyond, the field of International Political Economy to reflect on the scope and focus of their critique, but also on their purpose and normative positioning. Drawing on Adam Przeworski’s (1986) work, Šitera highlights the need to balance pessimistic interpretations of the world with the (informed) optimism that must animate the quest to change it. In light of these contributions it is instructive to reflect on Václav Havel’s observation, in a different context, that “the word twilight has been traditionally linked in our minds with the notions of end, extinction, defeat, ruin or approaching death” but, as he went on to remind us, twilight comes not only at dusk, but also at dawn. Tapio Juntunen’s insightful analysis of the strange renaissance of ‘Finlandization’ in response to the Ukraine crisis – driven by Henry Kissinger and Zbigniew Brzezinski among others – provides another perspective on the resurgence of great power politics in theory and practice. Juntunen outlines and explores the multiple historical uses and effects of ‘Finlandization’ as a performative myth. His ‘Helsinki Syndrome’ provides an excellent illustration of Rasmussen’s (2003) distinction between Finlandization as a “lesson of history” (as Brzezinski, Kissinger, et al. would have us believe) and a “history of lessons” (to conform to the “iron laws of great power politics”). Juntunen’s analysis contributes to the burgeoning field of Historical International Relations and it is apt in this context that he cites Halvard Leira and Benjamin de Carvalho’s recent warning that in IR “instead of emphasising the volatility and change of international politics”, the past is too often used “[…] as a quarry to be mined for the insights [that confirm] the universal and timeless workings of the (anarchical) structure of international politics” (2016: 101). 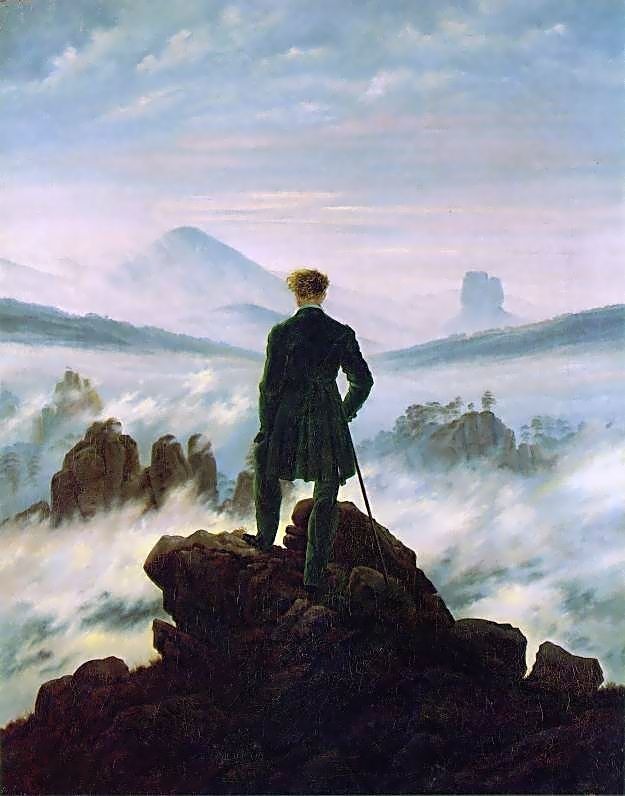 The Wanderer Above the Sea of Fog (1818). However, while attempting a reflexive critique, Amitav Acharya (a late addition to the panel) did something similar. In effect, he argued the same, hand-wringing, self-critical liberal point that it’s (still) the economy (and specifically the economy of neoliberal globalisation), stupid. As in the examples presented above, this was held to be the reason – without compelling evidence or argumentation – for the Brexit and Trump votes as well as seemingly heralding the awakening of a new, transnational, self-conscious class of those who see themselves as economically disenfranchised and politically neglected by the elites that serve the interests of (transnational) capital. Acharya didn’t use the term but it would not be too much of a leap to see such a group as a new proletariat. However, for those whose concepts and theories are indeed entering a dusky twilight there are (at least) two things to bear in mind. 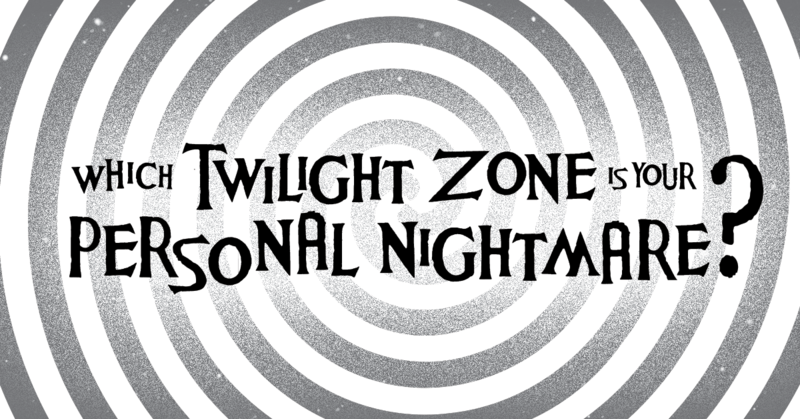 The first is that twilight – of both kinds – is a rhythmic, cyclical phenomenon, something which regularly returns, and the type of return that we both observe and try to bring about in both the scholarly and wider social worlds is key. The second is that we may have been unjust not only to twilight, but also to darkness. Merely re-heated versions of old approaches are not up to the task of taking us beyond the “Retromania” that drives much current politics (whether via Trump, Corbyn, Melenchon or Kaczynski) as much as recent cultural production (Reynolds, 2011; Cowley, 2016). 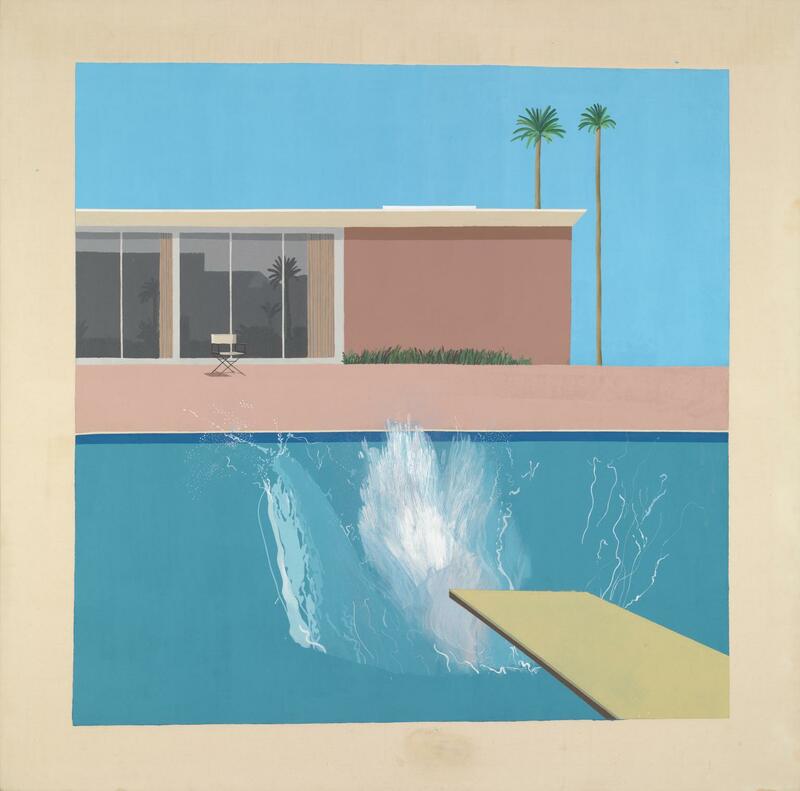 Contemporary challenges make clear the need for scholars to do more to rethink our approaches, be they Realist, Liberal, Constructivist, Marxist or Poststructuralist, and expand our horizons. Despite the impediments to doing so (scholars need a ‘brand’; personal reputation becomes too closely associated with an analytical approach; idols are too easily fashioned as scholars become stars), IR as a discipline needs to do more to guard against the path dependency that comes from merely instrumentalising the ‘change and volatility’ of international politics to the purpose of trying to show that we were (all) right all along. This also leads to the second point – that we are unjust to darkness, which we need not see – in all cases – as purely destructive or fatal (Edensor, 2017). The geographer Tim Edensor[vii] claims that we need to “reconnect” with darkness (2013) and to rethink the relation we tend to understand between dark and light (2015). He argues that “in recent history, darkness has been conceptualised negatively, for instance, with the ‘dark side’ and the ‘forces of darkness’ conceived as the opposite of that which enlightens and illuminates.” This has lead us to overlook the positive qualities of darkness: “the potential for conviviality and intimacy to be fostered in the dark, the aesthetics and atmospherics of darkness and shadow, the possibilities for apprehending the world through other senses and the dismissal of the star-saturated sky” (ibid.). As previous editorials have laid out, New Perspectives’ mission is to provoke constellations of knowledge and understanding through encounter and conversation (Tallis, 2015a; b). We do this partly by providing exactly the space for critical “conviviality” – conviviality that goes “past the affable” as Greg Masters so aptly described the work of Joseph Beuys (Masters, 1998). The forum that we publish in this issue is the latest in a series that is rapidly becoming a mainstay of New Perspectives due to the possibility that it provides for sustained encounter and conversation. The conversation between Šitera, Westra, Bruff and Ebenau is replete with productive tensions that resonate with those between Zinaić and Longinovic on the role of political economy, identity and culture. But as well as in these direct conversations, we also provoke constellations and encounters through the juxtaposition of original pieces such as Zinaić’s and Juntunen’s, which at turns complement and then contradict each other and which encourage different readings of both the IMEMO forecast and the forum. We will be hosting further discussions on several of these pieces in future issues, as we want to again carry the conversation further, to go beyond the dead ends, the sub-disciplinary cul-de-sacs that we often find ourselves in, and to explore the potential for new combinations of our approaches, for new syntheses and new creativities to flourish. Edensor’s re-evaluation of darkness points to two other ways in which such creativity can flourish: through the engagement of other ‘senses’, to which we would add the other sensibilities brought by scholarly approaches that extend or question our own approaches, and in the role of culture, beyond scholarship, in providing new ways of seeing, understanding and exploring. Edensor notes that darkness is attractive to those drawn to the “demi-monde,” to Janus-faced Bohemia[viii], to the creative land of artists such as Joseph Beuys and of poets such as Vítězslav Nezval. In the second of our series of ‘Cultural Cuts’ we excerpt from a new translation of Nezval’s The Absolute Gravedigger (the first into English) by Stephan Delbos and Tereza Novická (2016). Nezval was a leading surrealist poet and serial avant-gardist on the astonishing interwar scene in a country whose golden age came at the same time as the Twenty-Years Crisis (Carr, 1974 ; Sayer, 2013). Nezval’s work is alive with the surrealist zeitgeist of the 30s, but Beuys too has been described as a surrealist – one who, according to Buchloh, came “too late, at a moment when it is completely obsolete and impossible” (quoted in David & Chevrier, 1997: 392-4). However, as Derrida may have argued that is perhaps the time when we could learn the most from his work. 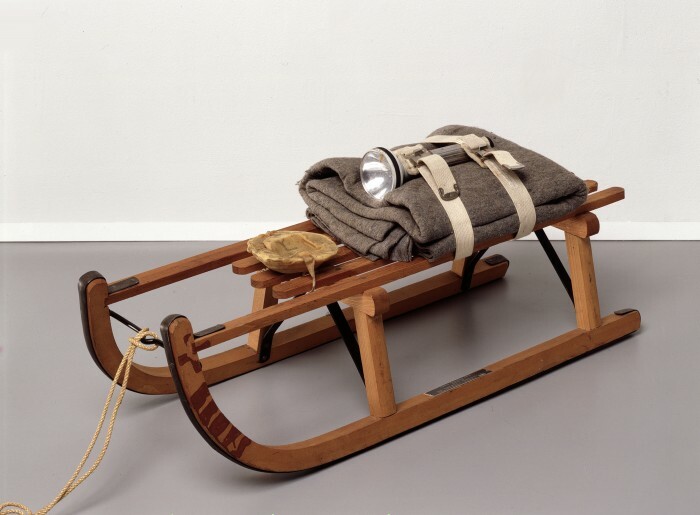 The Philosopher Arthur C. Danto argues that Beuys should be considered (along with Duchamp and Warhol) as one of the “Founding fathers of contemporary sensibility” but unlike the others has “somewhat faded from contemporary awareness, and seems to belong to an earlier era” (2008: xiii). Like the proletariat and great powers, he’ll be back – but we don’t yet know in what guise or with what effect. Nezval, on the other hand, has – partly thanks to Delbos (2011) and Sayer (2013) – only recently started to gain the kind of international reputation that his oeuvre should command. Both demand further (re-) consideration as they shed new darkness as well as new light on our concerns. [ii] We are delighted to be publishing a forum based on the panel ‘On 30 Years of On Diplomacy’ in our next issue (02/2017). Many thanks to Halvard Leira for convening the panel and for facilitating the transformation to a journal forum and to the panellists – Paul Sharp, Iver B. Neumann, Merje Kuus, Noe Cornago, Michele Acuto, Rebecca Adler-Nissen and, of course, to James Der Derian – for agreeing to provide their new perspectives. [iii] One ISA Panel doesn’t make a discipline, and the other panellists provided more enlightening and reflexive contributions, but the number of people who got up and left after Mearsheimer stopped speaking was indicatively depressing, as was his response to questions. [iv] Friedrich Nietzsche’s punning response to Richard Wagner’s Götterdämmerung (Twilight of the Gods) and the sloppy thinking of his age was Götzen-Dämmerung (Twilight of the Idols – false gods). [vi] Nein Quarterly is the alter-ego of Eric Jarosinski, whose “Compendium of Utopian Negation” gained fame through Twitter and has subsequently been syndicated in Die Welt and other leading newspapers, as well as spawning the book Nein: A Manifesto (2015). [vii] Incidentally, although fittingly, Edensor also authored an earlier review piece entitled ‘Welcome Back to the Working Class’ (2000). [viii] As both de Duve (2008) and Rosalind Krauss (2008) point out, Beuys as a bohemian raises questions for Marxists. They see “the true name of Bohemia” as the “lumpenproletariat” that so repelled Marx. Bjelić, Dušan I. (2002), ‘Introduction: Blowing Up the Bridge’, in Dušan I. Bjelić and Obrad Savić (eds.) Balkan as Metaphor: Between Globalization and Fragmentation, Cambridge: MIT Press, pp. 1–22. Buchloh, Benjamin H. D. (2008), ‘Joseph Beuys: The Twilight of the Idol’, in Claudia Mesch and Viola Michely (2008), Joseph Beuys: The Reader, London: IB Tauris. Campbell, David (1998), National Deconstruction: Violence, Identity and Justice in Bosnia, Minneapolis: University of Minnesota Press. Carr, Edward Hallet (1974 ), The Twenty Years’ Crisis, 1919-1939: An Introduction to the Study of International Relations, London: Macmillan. Chandler, David (2006), Empire in Denial: The Politics of Statebuilding, London: Pluto Press. Cowley, Jason (2016), ‘The New Times: Brexit, Globalisation, the Crisis in Labour and the Future of the Left’, The New Statesman, 22/09/2016. Available at http://www.newstatesman.com/politics/2016/09/new-times-brexit-globalisation-crisis-labour-and-future-left – Accessed 24/04/2017. David, Catherine and Jean Francois Chevrier (1997), Politics, Poetics: Documenta X, The Book, Idea and Conception, Ostfildern: Cantz Verlag. De Duve, Thierry (2008 ), ‘Joseph Beuys, or The Last of the Proletarians’, in Claudia Mesch and Viola Michely (2008), Joseph Beuys: The Reader, London: IB Tauris. Delbos, Stephan (2011), From a Terrace in Prague: A Prague Poetry Anthology, Prague: Litteraria Pragensia. Der Derian, James (1987), On Diplomacy: A Genealogy of Western Estrangement, Oxford: Basil Blackwell. Dopita, Tomáš (2015), ‘(Inter)National Reconstruction: Revising Poststructuralist Encounters with the War in Bosnia and Herzegovina’, New Perspectives, 23(2): 17-48. Edensor, Tim (2000), ‘A Welcome Back to the Working Class’,Sociology, 34(4): 805-810. Edensor, Tim (2013), ‘Reconnecting with Darkness: Gloomy Landscapes, Lightless Places’, Social & Cultural Geography, 14(4): 446-465. Edensor, Tim (2015), ‘The Gloomy City: Rethinking the Relationship Between Light and Dark’,Urban Studies, 52(3): 422-438. Edensor, Tim (2017), From Light to Dark: Daylight, Illumination, and Gloom, Minneapolis: Minnesota University Press. Hansen, Lene (2006), Security as Practice: Discourse Analysis and the Bosnian War, New York: Routledge. Havel, Vaclav (1996), ‘Twilight at Dawn’, Project Syndicate. Available at https://www.project-syndicate.org/commentary/europe–twilight-at-dawn? – Accessed 28/04/2017. Ignatieff, Michael (1993), Blood and Belonging: Journeys into the New Nationalism, London: Penguin. Jarosinski, Eric (2015), Nein: A Manifesto, New York: Grove Press. Krauss, Rosalind (2008 ), ‘No to … Joseph Beuys’, in Claudia Mesch and Viola Michely (2008), Joseph Beuys: The Reader, London: IB Tauris. Leira, Halvard & Benjamin de Carvalho (2016), ‘Construction Time Again: History in Constructivist IR Scholarship’, European Review of International Studies, 3(3): 99–111. Longinović, Tomislav (2011), Vampire Nation: Violence as Cultural Imaginary, Durham: Duke University Press. 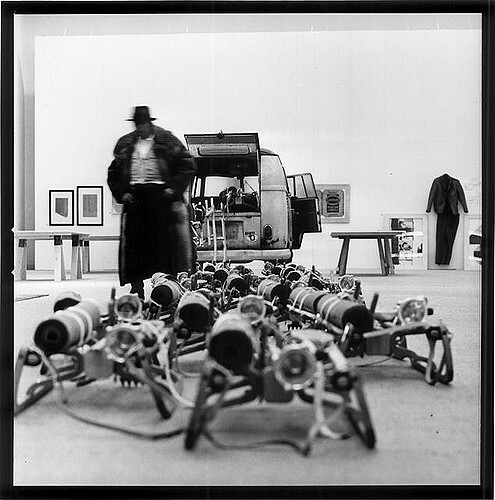 Masters, Greg (1998), ‘Joseph Beuys: Past the Affable’, Available at – http://artchive.com/artchive/B/beuys.html – Accessed 30/04/2017. Nein Quarterly (2013), Tweet. Available at https://twitter.com/neinquarterly/status/330787616507174913 – Accessed 28/04/2017. 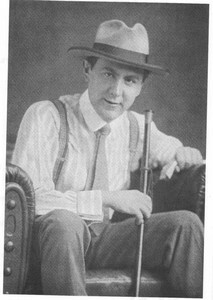 Neumann, Iver B. (2015), ‘ImMEMOrised Decline: The Price of Neglecting History’, in ‘Forum -Responding to “Russia and the World: 2015 IMEMO Forecast”’, New Perspectives, 23(1): 175-178. Nezval, Vítězslav (2016), The Absolute Gravedigger, trans. Stephan Delbos and Tereza Novicka, Prague: Twisted Spoon Press. Reshetnikov, Anatoly (2016), ‘Frozen Transition: Russia and Great Power Crisis Management’, in ‘Forum – Responding to “Russia and the World: 2016 IMEMO Forecast”’, New Perspectives, 24(1): 103-108. Reynolds, Simon (2011), Retromania: Pop Culture’s Addiction to Its Own Past, London: Faber and Faber. Sayer, Derek (2013), Prague, Capital of the Twentieth Century: A Surrealist History, Princeton, NJ: Princeton University Press. Sayer, Derek (2017), ‘White Riot’, Journal of Historical Sociology, 30(1): 92-106. Šitera, Daniel (2015), ‘On New Travels in Space-Time: Theoretical Rediscoveries after the Crisis in (Comparative) Capitalism(s)’,New Perspectives, 23(2): 77-92. Snyder, Timothy (2015), ‘Russia, Ukraine and the Central Significance of Civil Society’, a Lecture in Prague, 27/01/2015. Available at https://www.clovekvtisni.cz/en/articles/timothy-snyder-lecture-in-prague?src=268 – Accessed 28/04/2017. THES (2012), Review – ‘Vampire Nation: Violence as Cultural Imaginary’, Times Higher Education Supplement, 02/02/2012. Available at https://www.timeshighereducation.com/books/vampire-nation-violence-as-cultural-imaginary/418919.article – Accessed 25/04/2017. Volcic, Zala (2013), ‘Connecting the Disconnected: Balkan Culture Studies’, Communication and Critical/Cultural Studies, 10(2-3): 333-339.